Measuring cylinder pressure in an engine, in order to establish the combustion efficiency and losses is a well-established, widely used technique. In fact, it goes back to the days of steam engines! 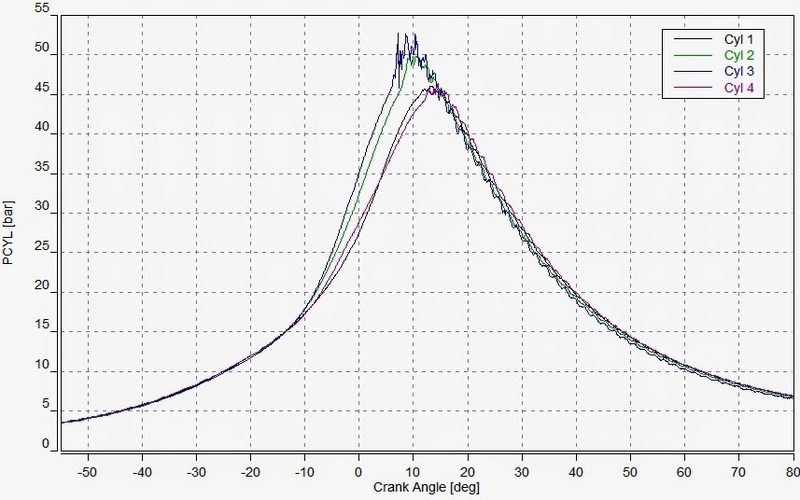 The in-cylinder pressure, with respect to crank angle is important for understanding the rate of energy release, and to be able to understand the amount of work done in the cylinder prior to transfer to the crankshaft, allowing losses to be established. However, these measurements normally require sophisticated equipment with specialised sensors. In addition, the engine normally requires some level of modification or adaption in order to be able to access the required measured parameters (cylinder pressure and crank angle). For these reasons, cylinder pressure measurements are normally the reserve of research and development environments. In theory though, measuring pressure in the cylinder for diagnostics is quite feasible these days, this is due to the reasonable cost of high speed measurement and recording equipment available to the after-market for sensor and actuator signal measurements (e.g. 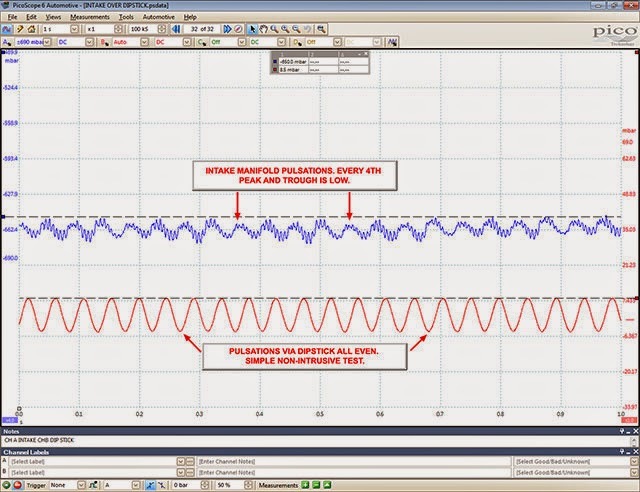 oscilloscopes). These are normally applied specifically for fault diagnosis of vehicle electronic systems, but these devices are easily capable of measuring a signal from a cylinder pressure sensor, of a suitable type, installed in the engine cylinder. Another more recent development is the availability of sensor technology of appropriate durability, with scalable output ranges, that come with appropriate non-intrusive adaptors which allow the sensor to be installed into the cylinder in place of the spark plug. 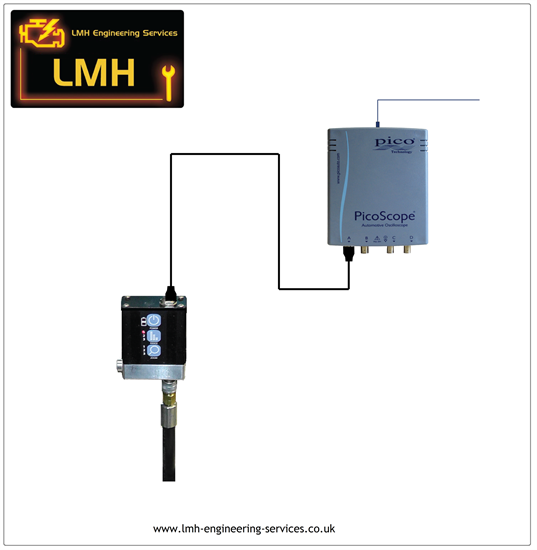 This technology has facilitated a trend towards examining pressure traces, in diagnostic procedures, in order to reduce the amount of time spent getting to the root cause of difficult to trace faults, especially those which generate non-specific or misleading fault codes. The diagram above provides a system overview. Basically, the scope hardware is connected to a PC and this is the data acquisition system. The transducer is remotely mounted (from the cylinder) and produces an analogue voltage in response to the pressure applied to it. This pressure comes from the combustion chamber via a pipe and adaptor which takes the place of the spark plug. The diagram below shows an actual installation ready for measurement. Note that the target cylinder must be ‘disabled’. 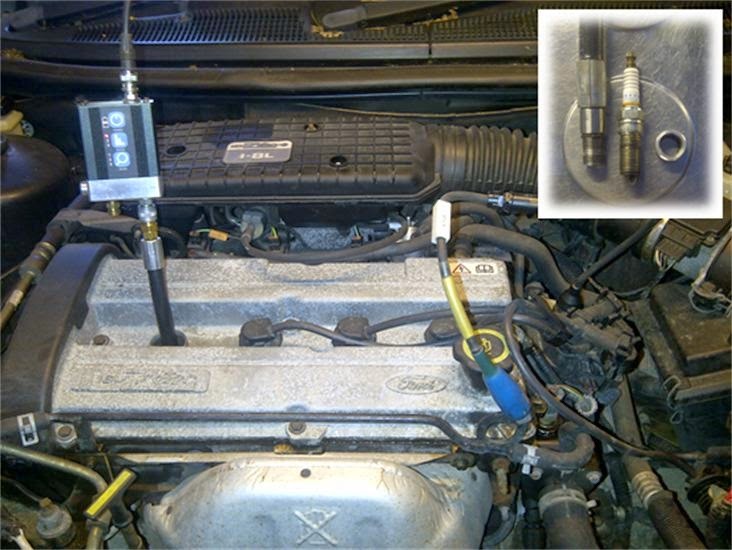 Normally this can be achieved by disconnecting the electrical connector to the fuel injector (where 1 cylinder is to be disabled – running test). For a cranking test, the CPS (Crankshaft position sensor) should be disconnected which prevents starting of the engine in full (normally no fuel or spark). For this type of measurement, we have to consider the boundary conditions as there are 2 main limiting factors to consider with respect to the acquired data for diagnostics. 2. 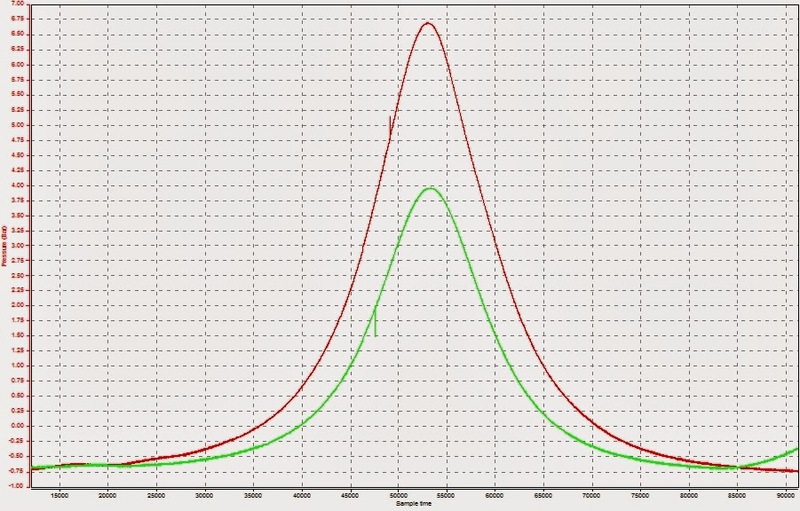 The data is sampled in the time domain - that is, the scope will sample with a regular sample rate with respect to time, not engine position (although this can be derived subsequently). 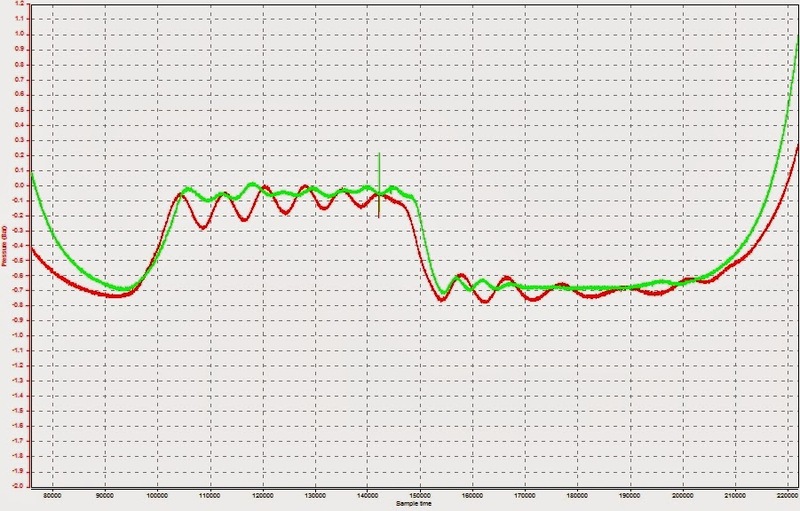 Time based sampling alone means that the engine position and cylinder volume can only be estimated from the raw data. 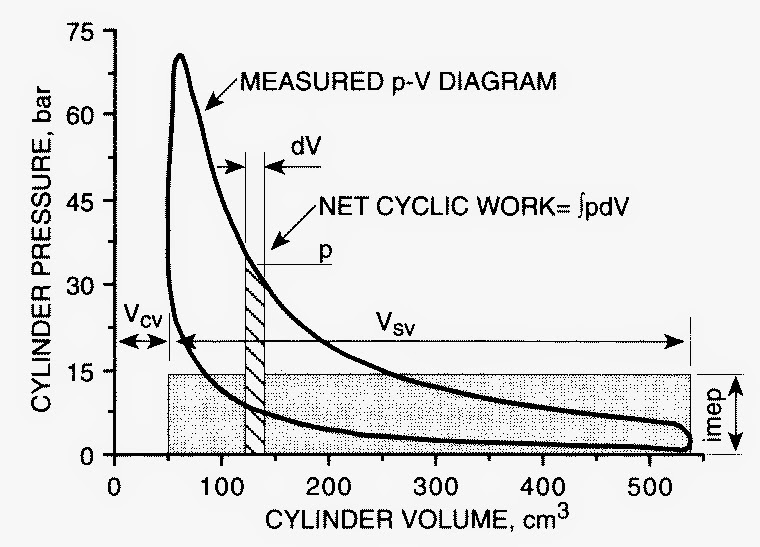 Hence accurate calculations that would involve cylinder volume are not really possible (they would be too inaccurate), an example of these calculations would be the Indicated mean effective pressure (IMEP) which gives a measure of the work done in each engine cycle. Due to this, the data which is measured is only suitable for calculating direct results - those which are derived from the raw data alone - for example, the peak pressure value, or the rate of pressure rise. 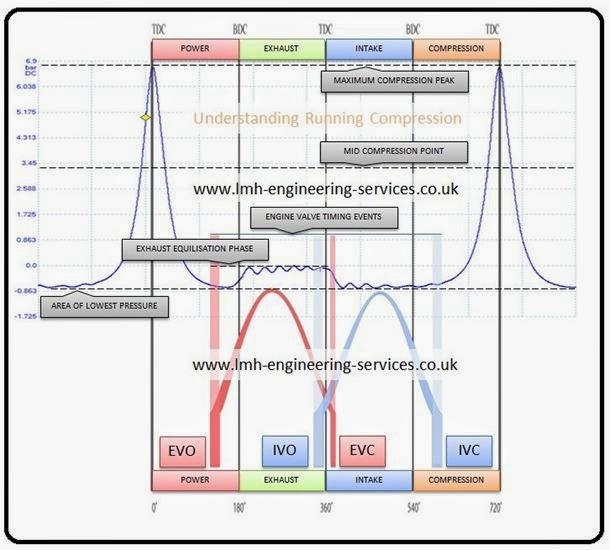 Relative loss of compression pressure is not just due to leakage factors - it could also be due to engine throttling or inefficient breathing due to worn valve gear components or incorrect valve timing or clearances. These breathing problems normally impact on the pressure curve dynamics. 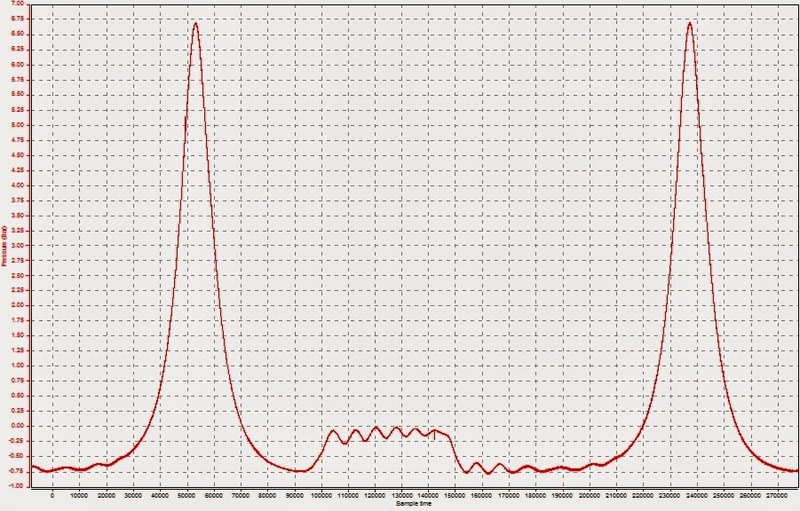 You can see from a typical measured curve that there are resonance effects during the gas exchange part of the cycle. When using a remote sensor (i.e. 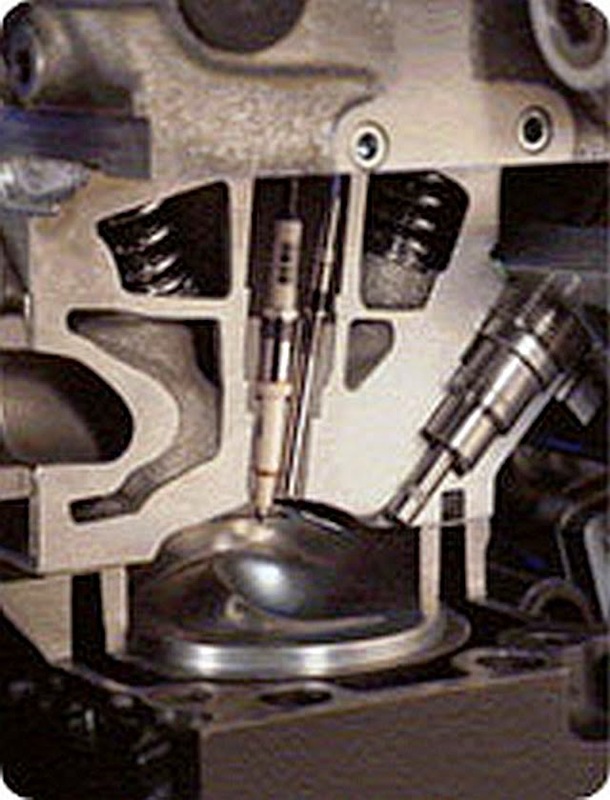 a sensor connected to the engine via a pipe). It is likely that oscillations are generated due to the air passage between actual the sensor membrane and the in-cylinder air volume. However, these flow dynamics should not vary significantly between cylinders on the same engine - as the sensor and pipe, as well as the cylinders should all be the same (more or less) with respect to dimensions and physical properties. Therefore, any small difference on the curves will be due to the flows within each cylinder and can thus be used for diagnostics. In particular, it is worth studying the baseline of the pressure curve, plus the amplitude and frequency of the resonance. However, try to be sure that when making measurements between cylinders for comparison, that the cylinder conditions are as similar as possible, in particular with respect to engine speed and cylinder temperature during the measurement. In addition to high–pressure measurements (i.e. within the cylinder) a useful approach is to monitor low pressure effects – specifically, in the exhaust and inlet. With a suitably calibrated sensor, the pressure dynamics, pre and post combustion chamber, can be easily gained and are useful to help on the diagnostic pathway! In terms of the diagnostic process. It is very worthwhile to try and measure the low pressure effects first, as installing the sensor for this task is easier and less effort - this helps to gain some insight to the root cause of a problem with lower initial effort. The low pressure dynamics can also highlight breathing issues and flow issues, in addition, by measuring other signals and using them a phase markers (for example, a cylinder specific ignition pulse), cylinder specific related issues can often be identified. The diagram above below comes from a diagnostic procedure where a cylinder misfire was apparent but the root because not that clear. 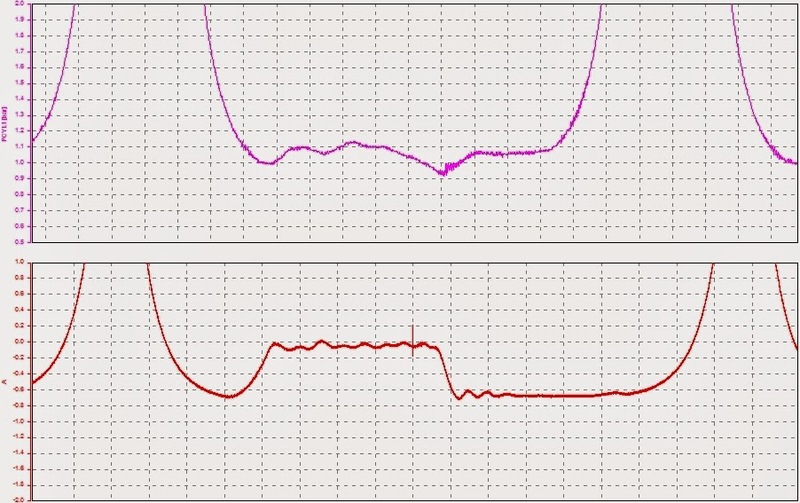 In this case the manifold pressure and exhaust pressure were measured and as you can see from the inlet trace, a cylinder specific issue could be seen on the signal. This allows the diagnostic technician to know that there was a problem with one of the cylinders, with the breathing on the inlet side. The root cause in the end being a valve clearance issue. There are similar case studies in the public domain that highlight the value of using pressure measurement to support diagnostic studies looking for classical mechanical faults, which cause an electronic failure mode or warning via OBD system (the OBD system is often considered to be able to identify electronic related failures only - often though the root cause can be a mechanical issue). In conclusion, its clear that pressure measurement can support efficient diagnostics, whether the failure is electronic or mechanical. The equipment available for this measurement technique is now easily available and reasonably priced. If you buy the kit, keep it handy in the workshop and practice making measurements on a regular basis. You will build up knowledge and be confident to carry out the process whenever needed. In addition, regular use can shorten diagnostic time, increase efficiency and shorten return-on-investment time after purchasing the kit. Following this process should take you from the least intrusive method, through the more involved procedures, but in the right order. So that if you uncover the problem ‘on the way’ then you don’t need to proceed further - unless of course you have the time to spend to validate your findings! This approach will ensure that you get to the root cause a quickly as possible - ensuring an efficient process and a 'fast-time-to-find-fault'. LHM Engineering - an excellent application note covering "Understanding Running Compression"
Pico Automotive - Excellent case study by Steve Smith - "Subaru cylinder misfire"
Autoelex - An overview of engine indicating and combustion measurement - "Engine Indicating technology"
SAE - A book on combustion pressure measurement - "Engine Combustion: Pressure Measurement and Analysis"